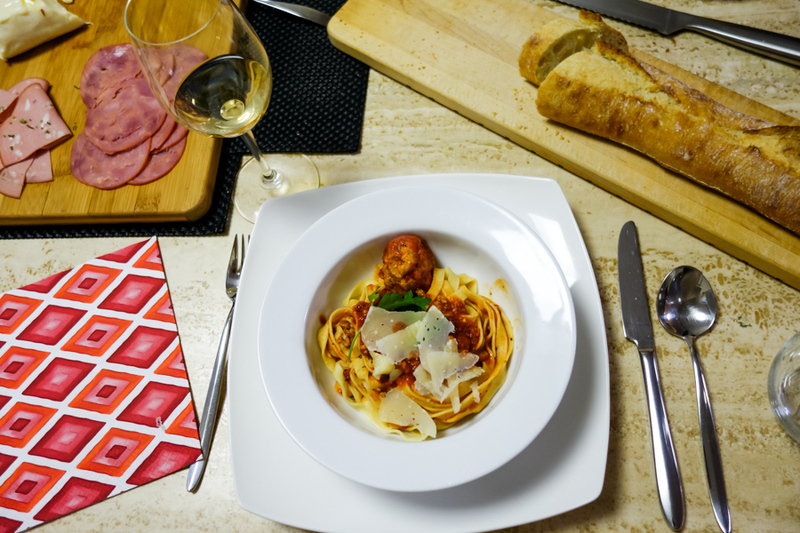 30 Before 30 - I Made Fresh Pasta | La Petite Noob | A Toronto-Based Fashion and Lifestyle Blog. Well Noobs, my 30 before 30 list had taken a bit of a backseat recently in favour of personal style and tutorials - but I'm back on track and have another task to check off. This past weekend, I had a chance to spend the day with my lovely mother and together we made fresh, homemade pasta completely from scratch! My mother is a trained chef, and always creates some of the best food I've ever tasted - I'm serious, I've traveled the world and I have yet to taste a dish better than something my mom will whip up for a regular Sunday dinner. She assured me that making fresh pasta was easy, and I was reluctant to believe her. 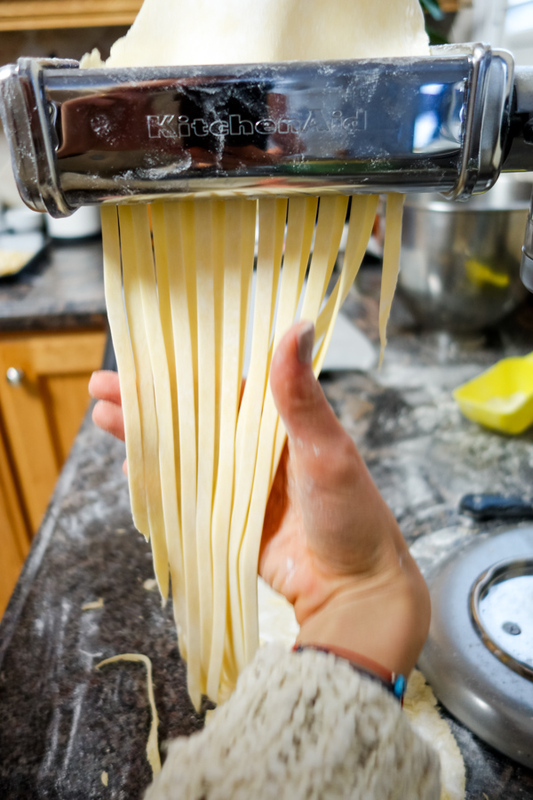 Once we got started into the pasta making process, she was right - fresh pasta is pretty simple to make, especially if you have a stand mixer and the right attachments. Creating pasta from scratch is time consuming though, a far cry from my usual kitchen habits of turning pretty much anything into a stir fry in less than 15 minutes. I have to say that the extra time and effort in the kitchen was completely worth it. 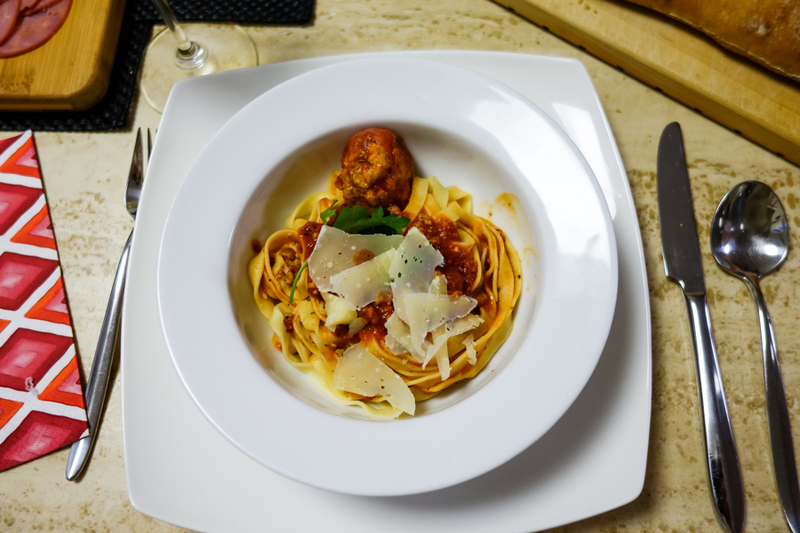 Our pasta tasted incredible, and the dining experience was made even sweeter knowing that I had a hand in creating it. Another testament to the fact that you always get what you put into things. I would like to start slowing things down a bit and start to take pleasure in cooking, instead of just quickly throwing something together for a quick meal - it really is satisfying. On top of everything, I just had a great time making fresh pasta with my mom. It's safe to say that this venture has gotten me re-motived to tackle the rest of my 30 before 30 list and I can't wait to see where the next task takes me. This is something I have been too intimidated to do in the past! Looks delish! I was super intimidated to make pasta from scratch as well, but once I got going it wasn't hard at all - just time consuming! I'm looking to make ravioli next! Try it out Jessica! 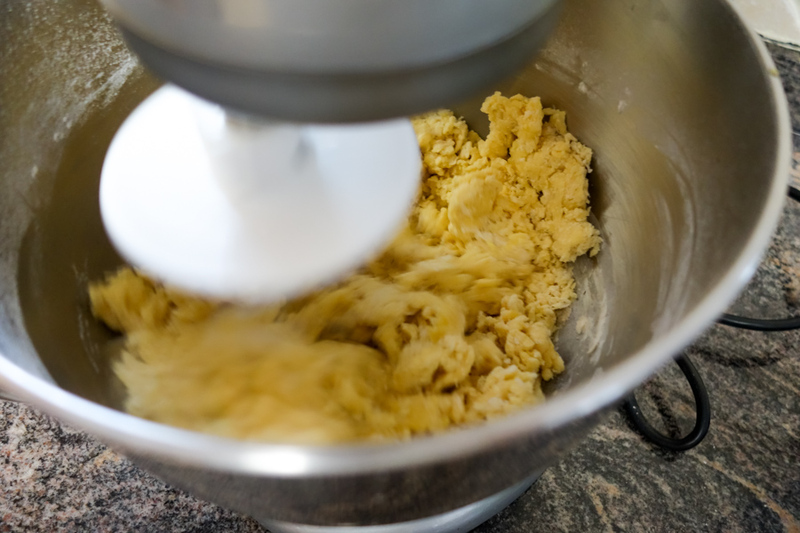 I have a pastel blue stand mixer and I love it - I just need to start using it more! OHHHH gnocchi sounds delicious! I tried my hardest to save some for you, but the glutton in me one over - it's all gone!